Around the world our ancient ancestors built grand monuments, impressive cities, fortifications and palaces. Over time these displays of power, faith and wealth were abandoned, overtaken by jungle or fell into disrepair. Archaeologists are fighting to preserve the history of these ancient sites. But, it is often a losing battle as time and weather continue to degrade the ruins. From South America to Europe, these are the sixteen ancient ruins that you must see now, before it’s too late. 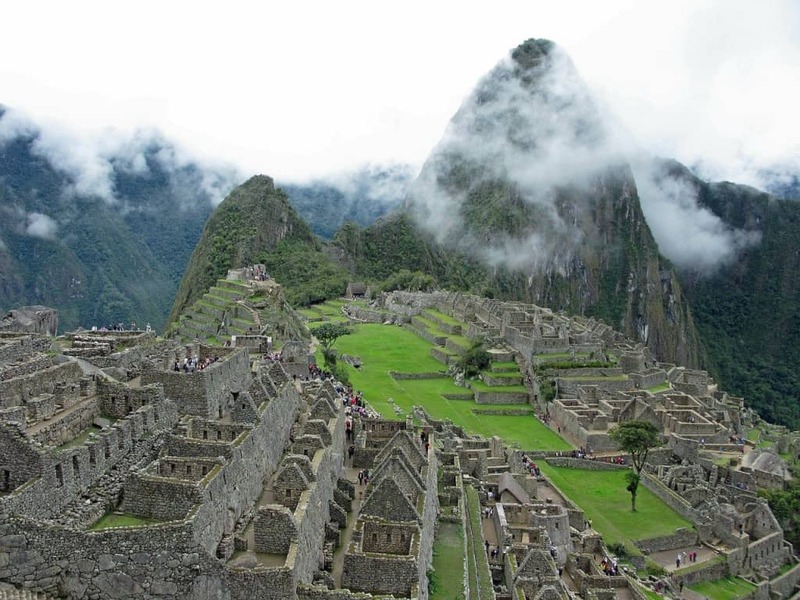 Located high in the mountains of Peru, the Lost City of the Incas was rediscovered in 1911. Because it remained hidden within the cloud forest during the Spanish conquest of South American, it remains remarkably well preserved today. 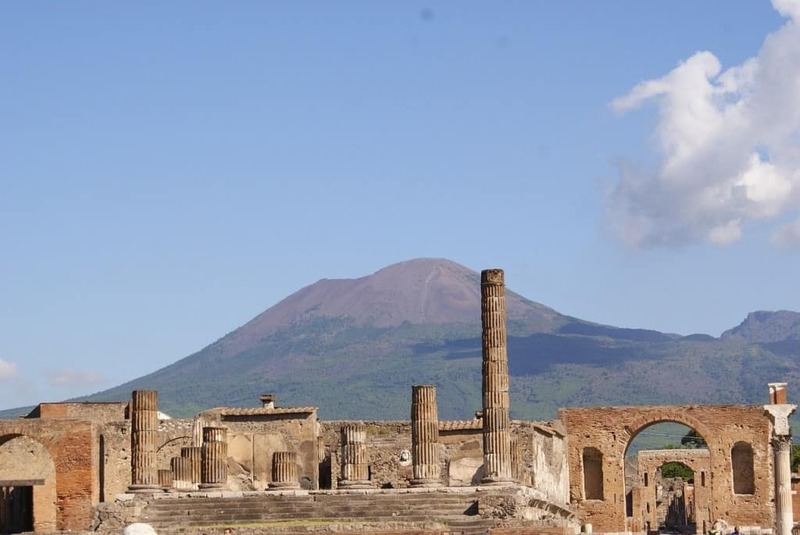 Once a bustling Italian city, Pompii was destroyed by an eruption of Mount Vesuvius in 79 A.D. The site was petrified under layers of lava and ash. Today, the ruins contain the remains of a fish market, bakery, public baths, and several villas. In the Egyptian desert south of Cairo, three massive pyramids rise from the sand. The largest is known as The Pyramid of Khufu, or The Great Pyramid, and is the oldest of the Seven Wonders of the Ancient World. 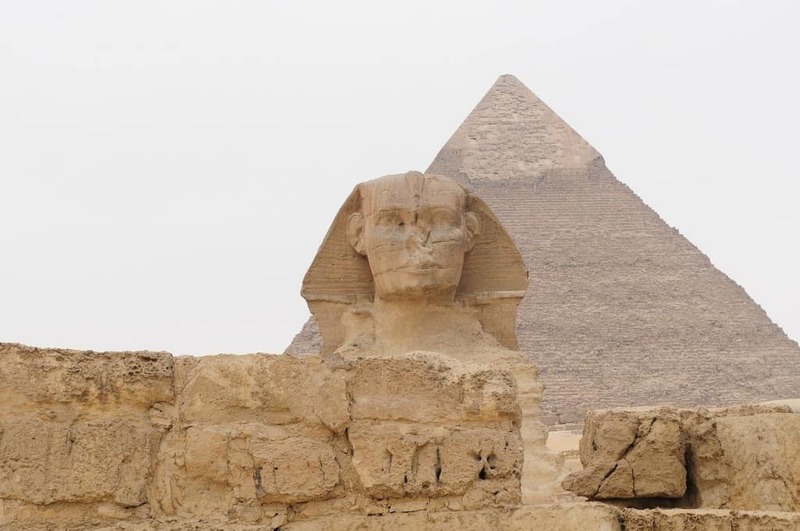 The Great Sphinx guards the pyramid complex, which was built as a necropolis for the great kings and queens. Situated to the northeast of Mexico City, Teotihuacan is one of the largest and most well preserved pre-Columbian pyramids. 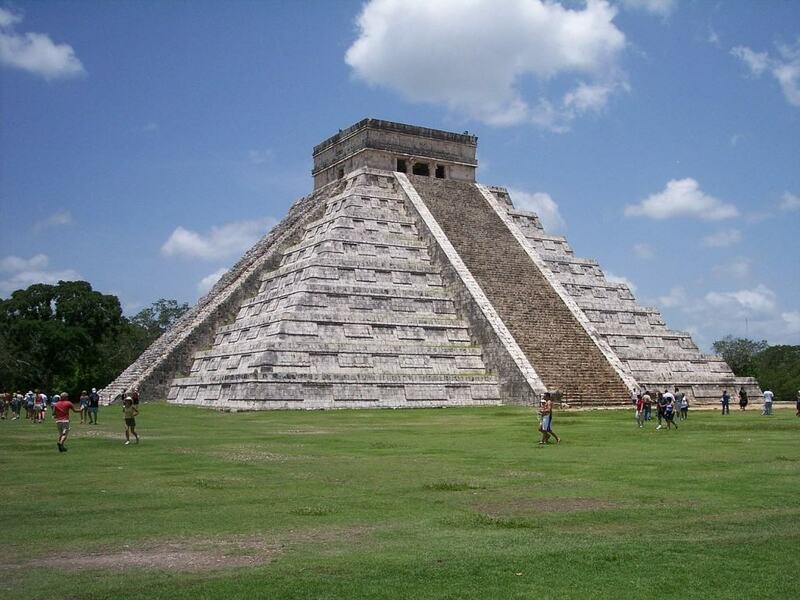 The city predates the Aztecs, but the ancient population was responsible for renaming it “City of the Gods”. The highlight of the site is the vibrant murals. 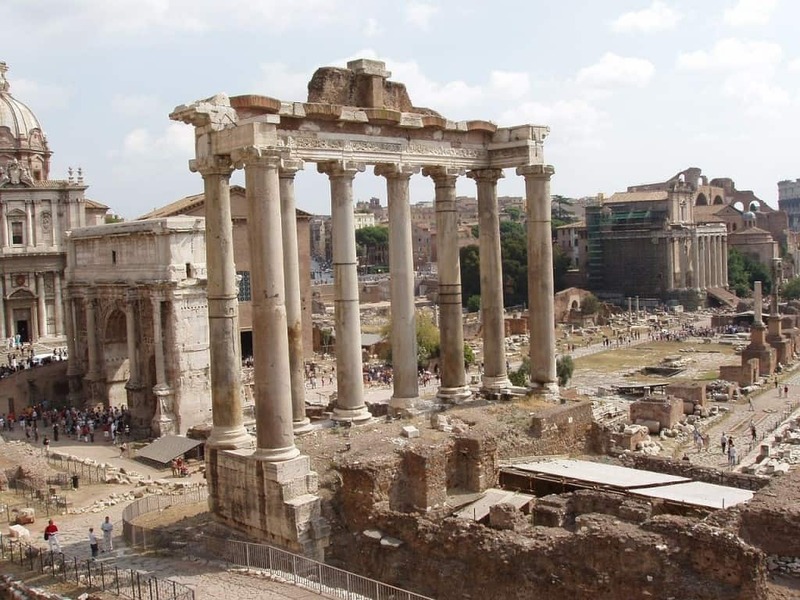 Once the epicenter of the Roman Empire, the Forum was the site of everything from public speeches and elections to commerce. 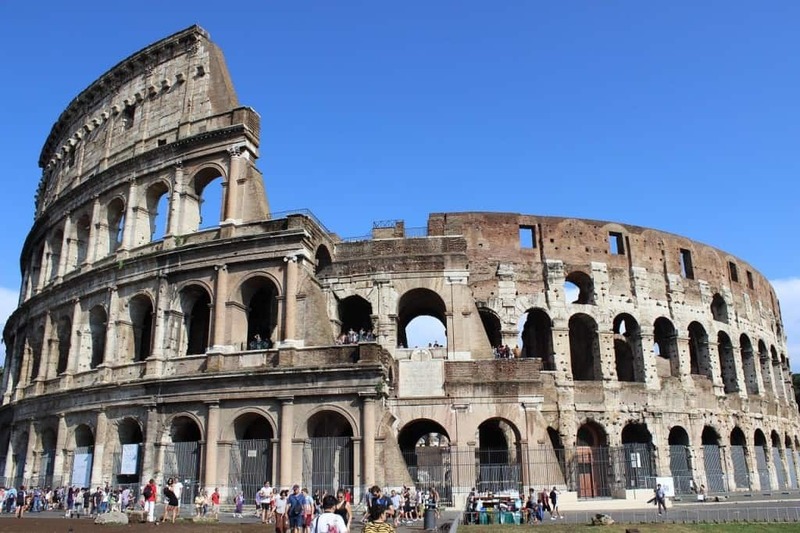 It is also the spot where Marc Anthony delivered the funeral address for Julius Caesar as well as the home of the Tempio de Vesta and the vestal virgins. While you are at the Roman Forum, head over to the Colosseum to the east. The elliptical amphitheater at the center of Rome held up to 80,000 spectators and was used for events including gladiator battles, executions, animal hunts and other public spectacles. 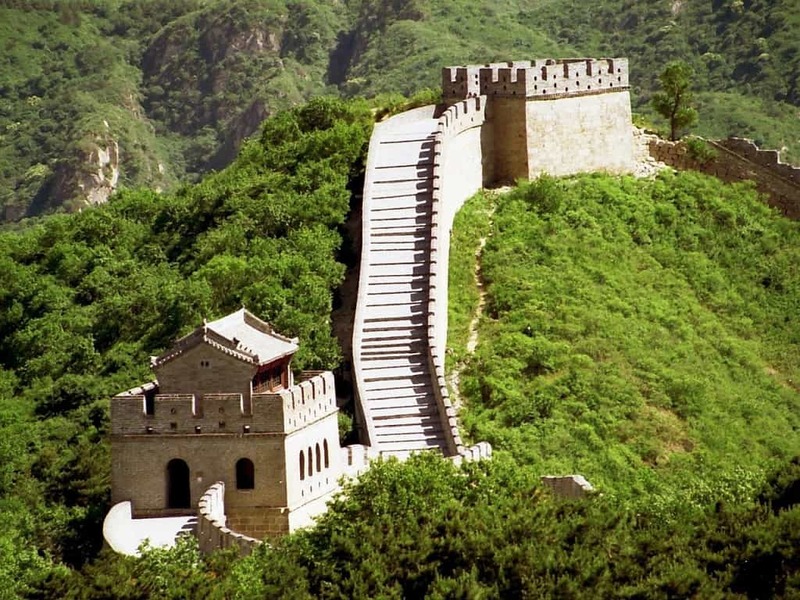 The Great Wall of China was built during the Ming Dynasty to protect northern China from invasions. The 20,000-kilometer ruin contains watchtowers and ramparts and runs between Shanhaiguan and Jiayuguan. Located in Jordan between the Red Sea and the Dead Sea, Petra was carved into the sandstone cliffs by the ancient Nabataeans. The site was rediscovered in 1812 and since then approximately 15% of it has been unearthed. 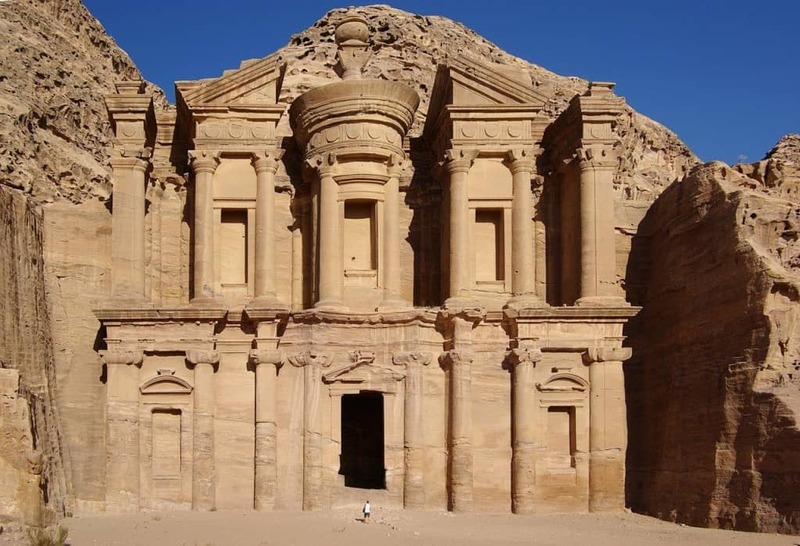 Today, Petra consists of temples, churches and over 800 tombs. However, the most well-known ruin here is that of the ancient treasury. Though the jungle city in Guatemala looks like stone and rock today, the massive temples were once covered in bright green and red stucco. The Mayans built Tikal without any metals tools, animals or wheels and then mysteriously abandoned it in 900 A.D. 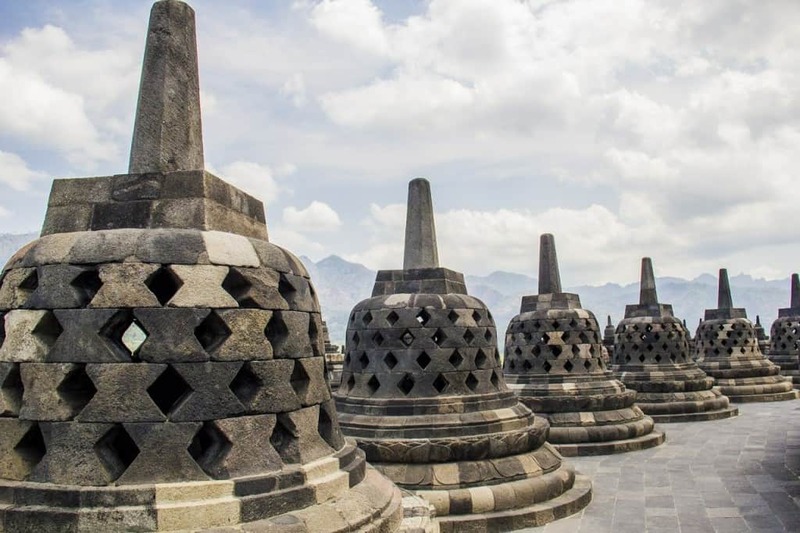 Located on the island in Java in Indonesia, Borobudur is a fusion of Indian and Indonesian art, as well as Hindu and Buddhist beliefs. The step pyramid contains levels representing stages of enlightenment and features various forms of Buddha statues and bell-shaped stupas at different levels. 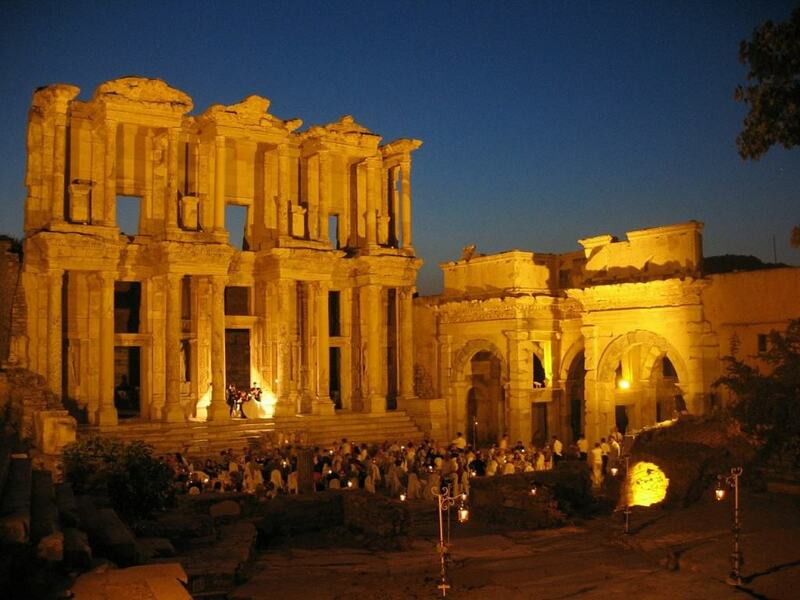 Located in Turkey, Ephesus is both one of the best-preserved ruins in the world and one of the most important cities in the Greco-Roman empire. Though it started out as a trading port and settlement of the cult of Artemis, the Romans and then the Byzantines later captured it. Ephesus was also the site of the Ecumenical Council that declared Mary to be the Mother of God. Sitting above the city of Athens, the Acropolis contains the Temple of Athena Nike, the Propylaea and the Erechtheion. But, the real jewel is the famous Parthenon. 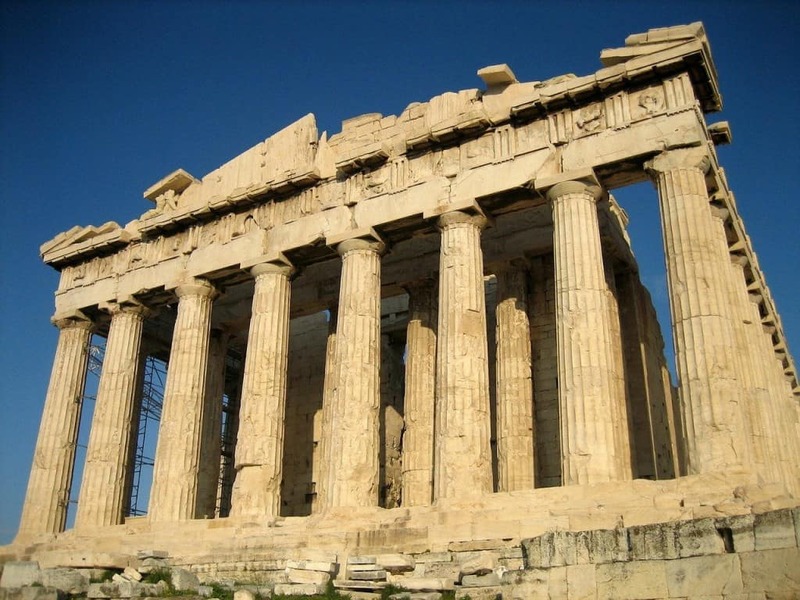 Built between 461 and 429 B.C., the Acropolis is a testament to the wealth and power of ancient Greece. Though the English ruin has long been one of the world’s great mysteries, recent excavations have revealed that it was once used as a burial site. 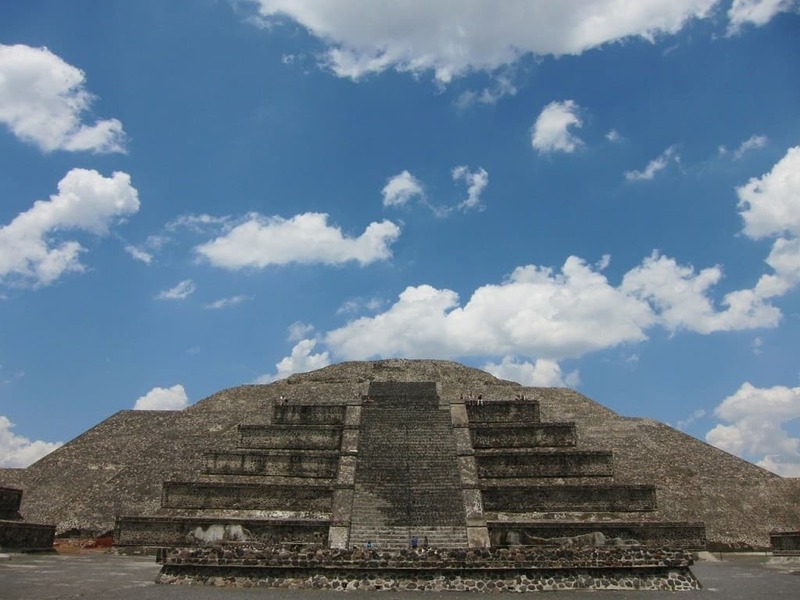 It is also thought to be a religious site dedicated to the cycle of the sun. 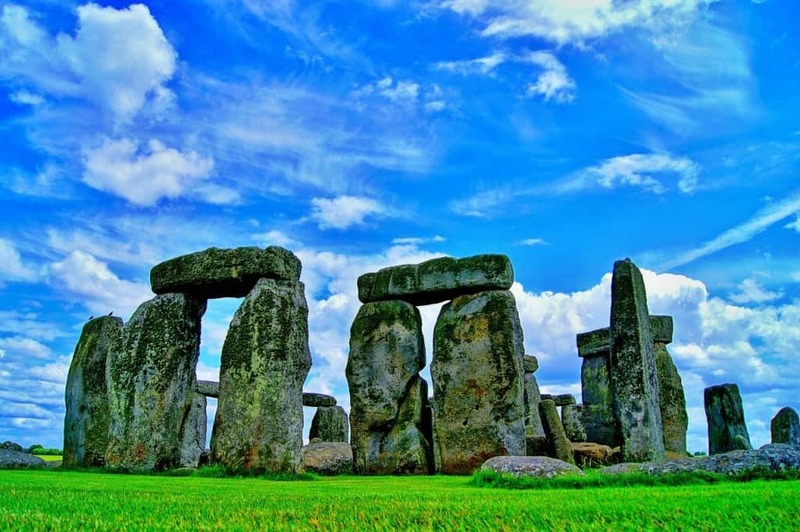 With stones weighing up to 45 tons, building Stonehenge without the use of wheels is a feat of human perseverance. 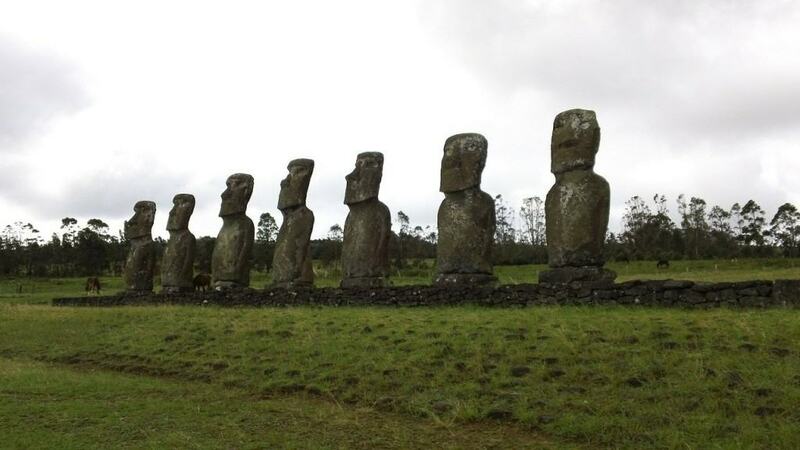 Similar to Stonehenge, archeologists are still puzzled by how the Rapa Nui people built the massive stone statues on Easter Island. Though the statues were originally placed above burial grounds, they were later toppled. Today they are standing again due to the efforts of archeologists. 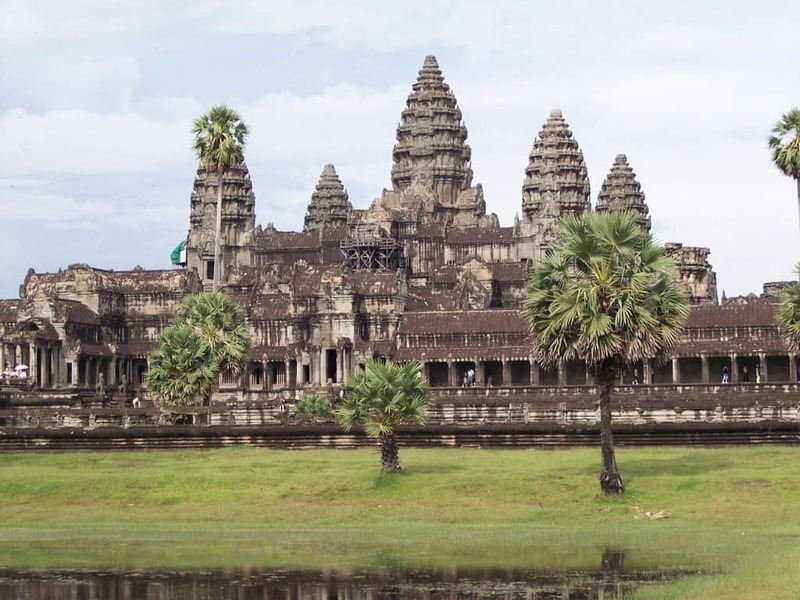 Located in Cambodia, Angkor Wat is the largest religious monument in the world. Today it is a testament to the wealth and power of the Khmer empire. However, it was built in 12th century to honor the Hindu god, Vishnu. Located in the northern Yucatan Peninsula, Chichen Itza was one of the largest Mayan cities and covers over five square kilometers. 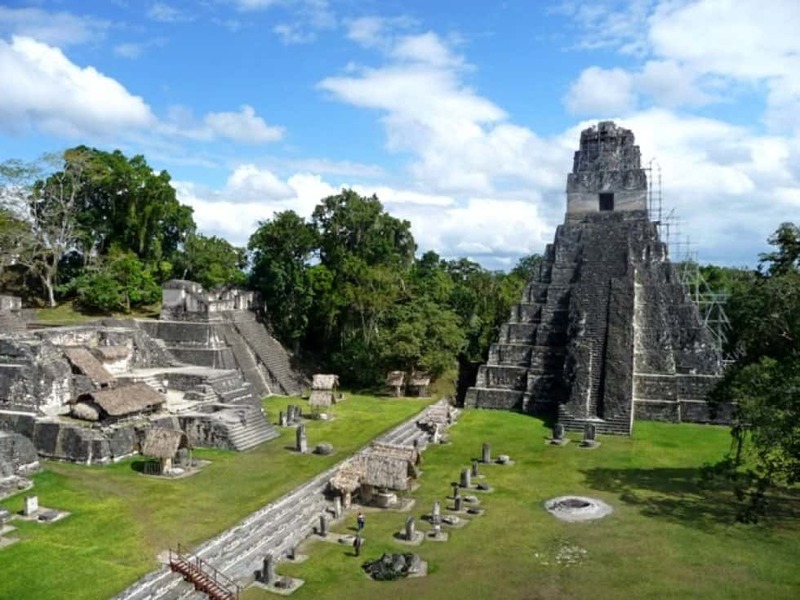 Aside from the dominant step temple, the site features a steam bath, ball court and several smaller temples as well as a natural sinkhole, known as a cenote.